Let’s face it; tailgating is just as much about delicious displays as it is watching your home team play. This season, we’re throwing a flag on the basic brats and beer combo, and blowing the whistle on chips and dip. It’s time to root for a more inventive tailgating spread. Our first play towards a flawless season? Start with the foundation; a.k.a your tablecloth. 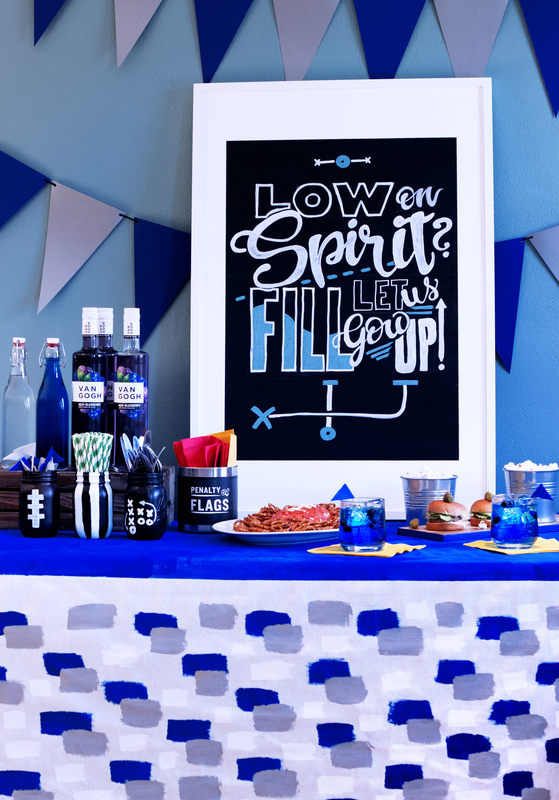 As simple as it may sound, a festive tablecloth sets your tailgating scene up for success. Follow our guide as inspiration, and flex your creative muscles with a design that’s personalized to your team. In a few swift moves, you’ll be inducted in the hostess Hall of Fame. 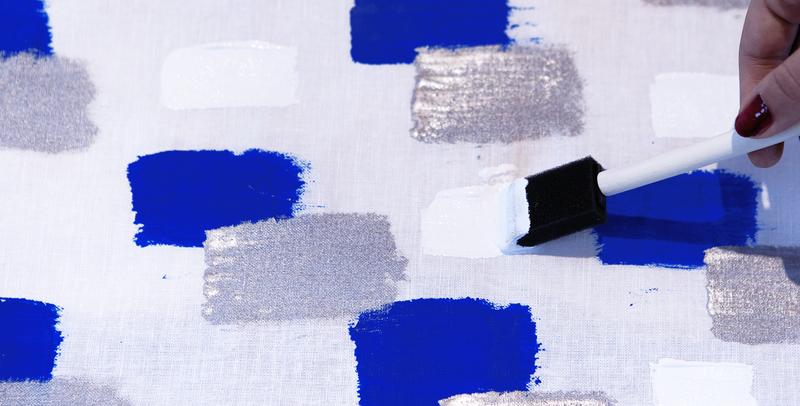 Get a single-color tablecloth and fabric or acrylic paint in your team’s colors. 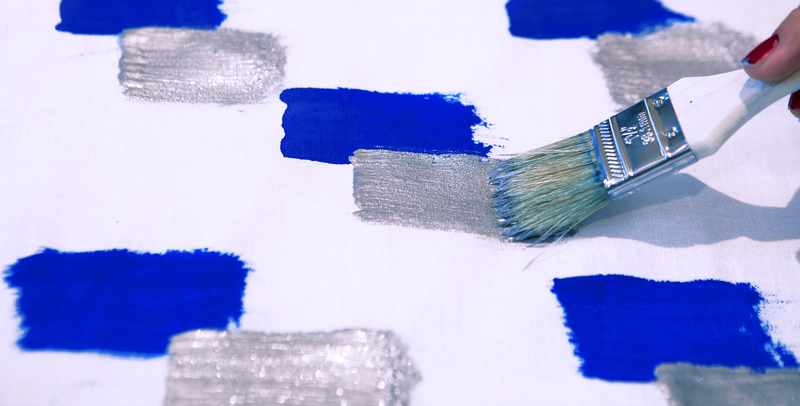 Exercise your artistry and mix your paint to create that perfect shade. 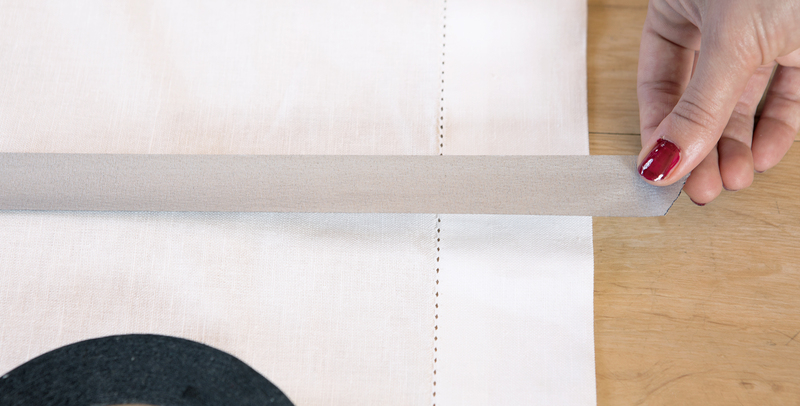 Lay out a straight line of painter’s tape ⅔ of the way down the cloth to create two sections. 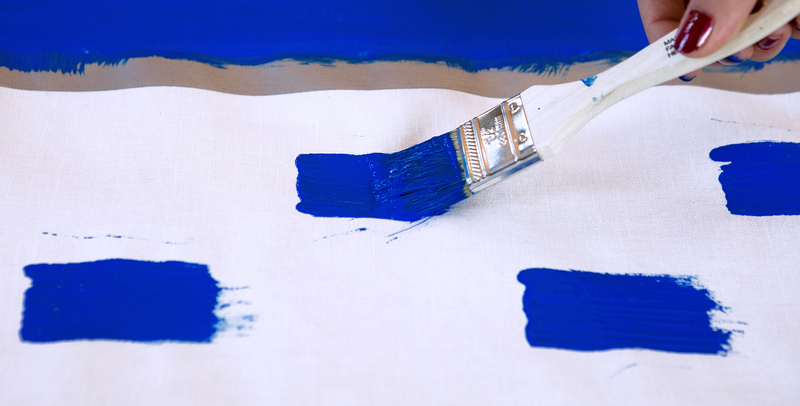 Spread your tablecloth on top of a drop cloth and paint ⅔ of the tablecloth your team’s primary color. This section will be the top of the table. Using the same color, create rows of rectangles down the cloth. Allow to dry completely. 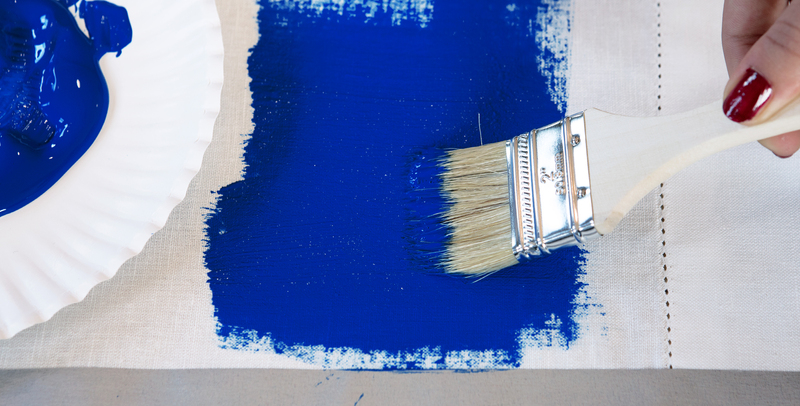 Once dry, layer on your team’s secondary color. Fill in the gaps with their tertiary color. Freehand this section and get artistic with your strokes, now’s the time to let your inner Van Gogh show! 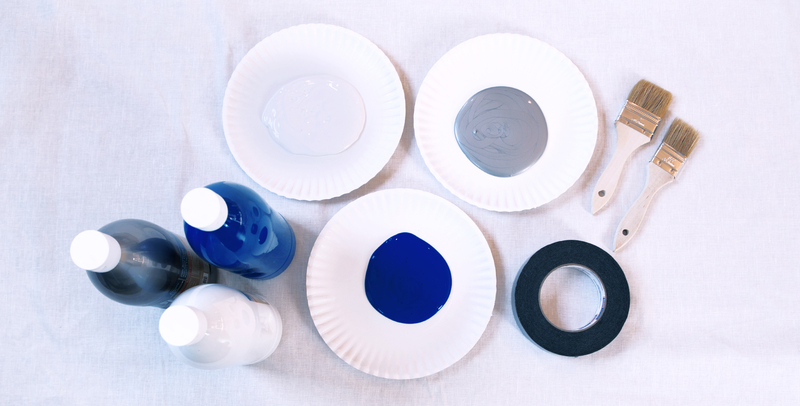 Pendants: Using painters tape, map out equal-length pendants and paint the insides. 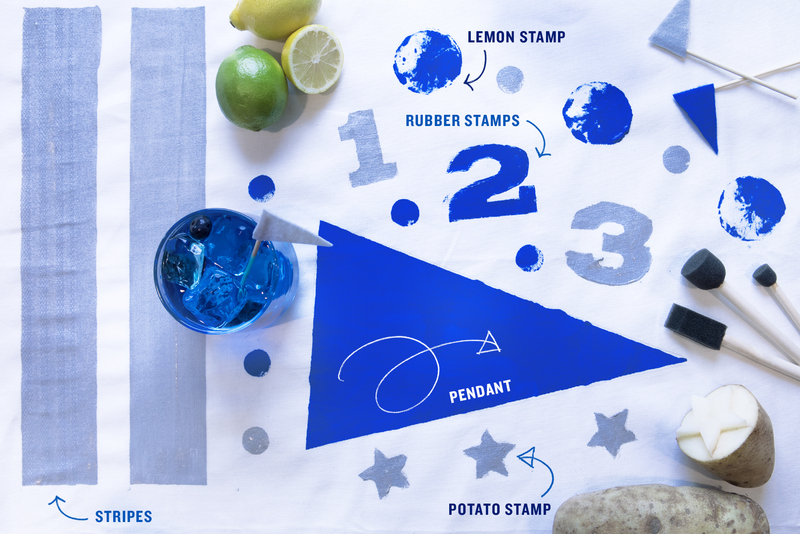 Stripes: For a simple, yet fun tailgate table cloth, paint stripes using your teams colors. Separate the segments with painters tape for straight lines. Rubber Stamps: Explore your local craft store for simple shapes like footballs, team letters and numbers. Potato stamp: For a sturdier stamp, try carving the base of a potato in your desired shape. Natural Stamps: If you are looking for a more artistic, and less football-based design, natural patterns make a beautiful print. Painted ferns, halved lemons or dipped flowers are perfect for your table cloth. A party is only as good as its finishing touches. 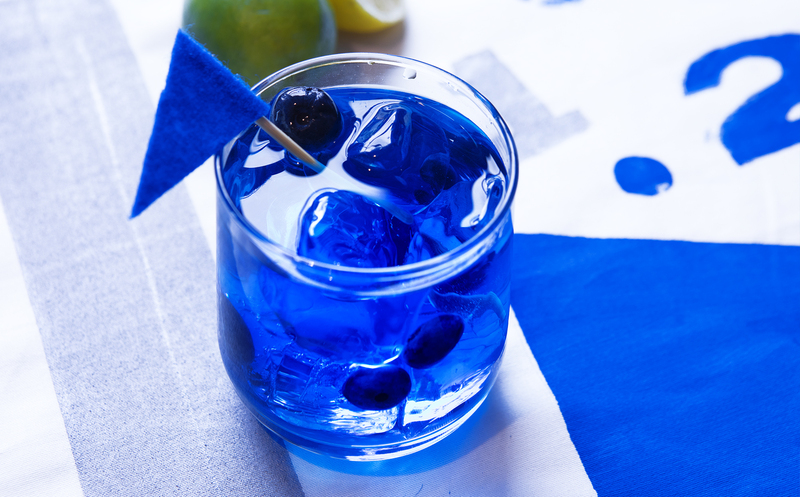 Get crafty with our signature team cocktails and discover our top three tailgating tips.